Gary Orbach DMD (New York) - Book Appointment Online! 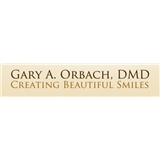 At the office of Gary Orbach, D.M.D., we are committed to treat each patient as a family member by providing the highest quality dental care in a relaxed, caring atmosphere. Through education, prevention and open communication, we can help you attain optimal oral health. In this process, everyone wins. What We Do: At Dr. Orbach's office, we can handle all of your Dental needs. Whether you need dental cleanings, fillings and Dental Prevention or Cosmetic Procedures to help give you the smile you've always wanted, Dr. Orbach can help. Company Profile We're proud of our friendly and knowledgeable staff, each of whom average 15 years of dental experience. We welcome new patients, who can save a little time by downloading our office forms and filling them out before your first appointment. The experience was simply what it should be: attentive, professional, kind, and clear. Dr. Orbach and his staff have been consistently reliable during all of my appointments. One can't really ask for more.